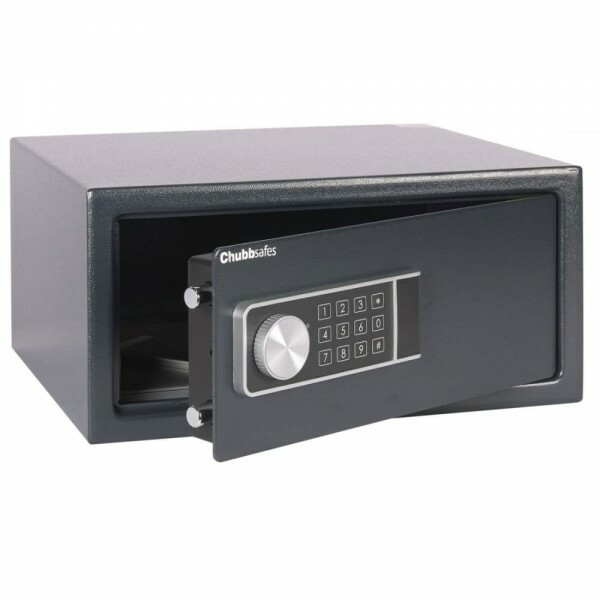 The Chubbsafes Air Electronic Lock Laptop Safe is a compact safe ideal for home or office use. It is suitable for floor mounting and is provided with bolts allowing for the safe to be permanently fixed. Once fitted, it has a recommended cash rating of £1,000 and valuables of £10,000. 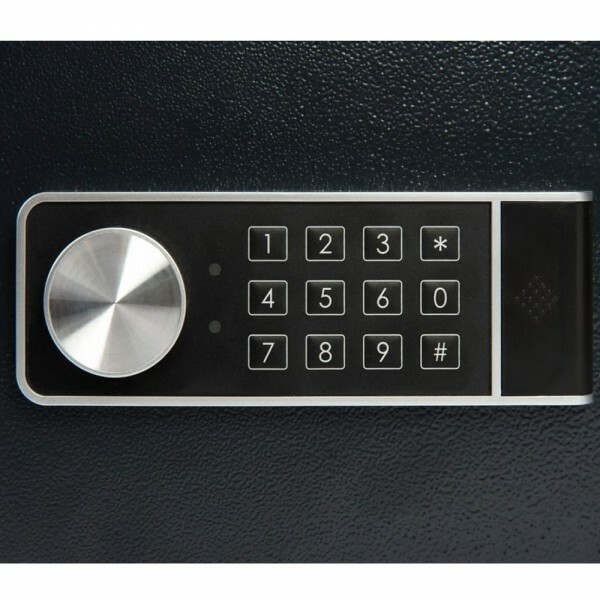 This safe is operated using an electronic lock which allows for 1 user code and has a key override option. 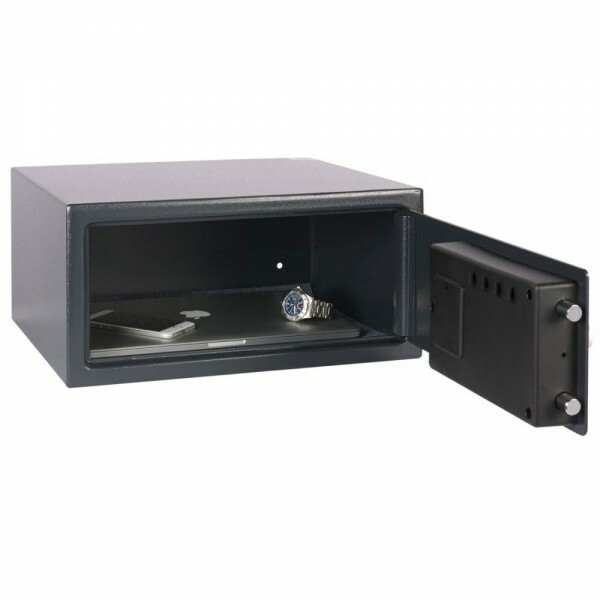 The Chubbsafes Air Electronic Lock Laptop Safe has 4mm thick steel door and 2mm thick steel body frame.